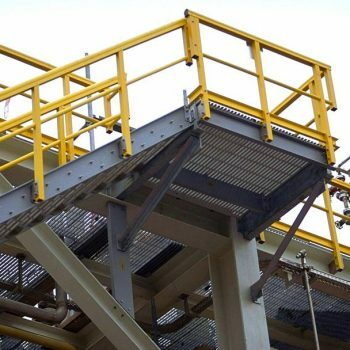 Glass reinforced polymer access platform systems are suitable for industrial and commercial environments. 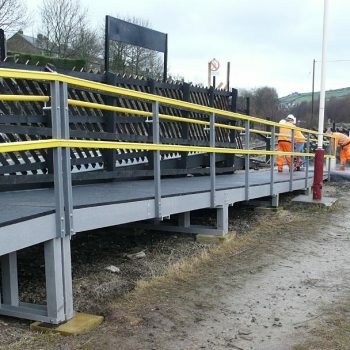 They are designed to comply with all relevant standards such as BS 4592 & Eurocomp and provide a safe, maintenance-free and cost-effective alternative to metal or wooden structures. Suitable for all general industrial environments. Corrosion & chemical resistant with little or no maintenance. Designed in accordance with BS 4592 Industrial-Type Flooring & Stair Treads. Std: steel grey or safety yellow colour. Operating temperature range -50oC to105oC. 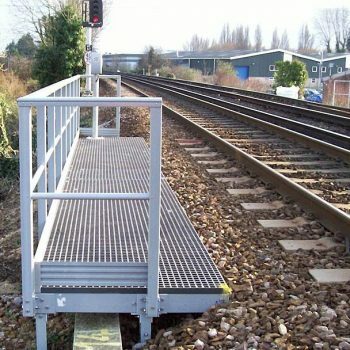 Platforms are assembled by either plain or colour matched rivets or stainless bolt systems and specialist industrial adhesives. 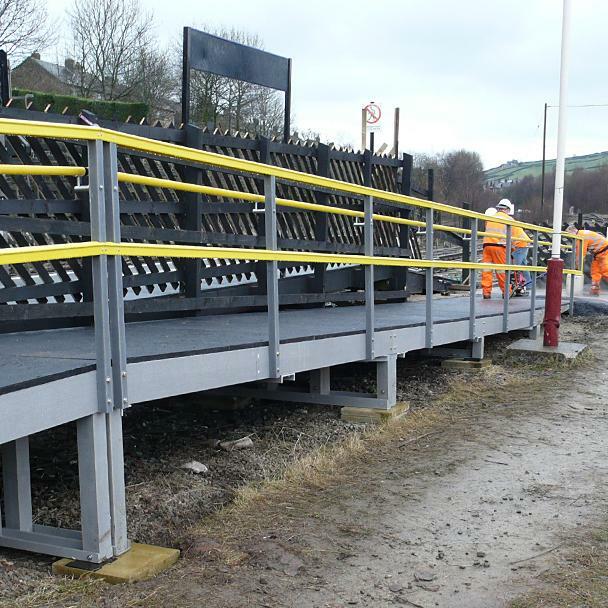 Custom made reinforcement/joining brackets & plates are also deployed. A drawing & engineering service is available for this product range. Please contact us for further information. *Note: minimum order quantities & lead times may apply. Suitable for industrial and commercial environments, Glass Reinforced Polymer(GRP) access platform systems are designed to comply with all relevant standards such as BS 4592 & Eurocomp and provide a safe, maintenance free and cost-effective alternative to metal or wooden structures. GRP is perfectly suited to interior, exterior and aggressive environments where industrial chemicals or acid/salt air may quickly degrade other structures. Commonly incorporated into new build & refurbishment designs alike, such structures have shown proven in-service performance for 50+ years.